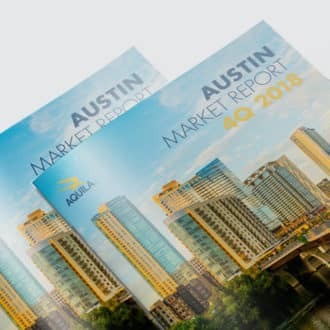 Matt Wilhite has quickly become one of Austin’s leading tenant representation experts and is one of AQUILA’s youngest principals. Matt has experience working with companies on the cutting edge of workforce, real estate and social trends. Matt’s experience is as diverse as his client list, spanning from multinational corporations to homegrown startups and include WeWork, Aristocrat Technologies, Smith Robertson Elliott & Douglas, LLP and New Waterloo. 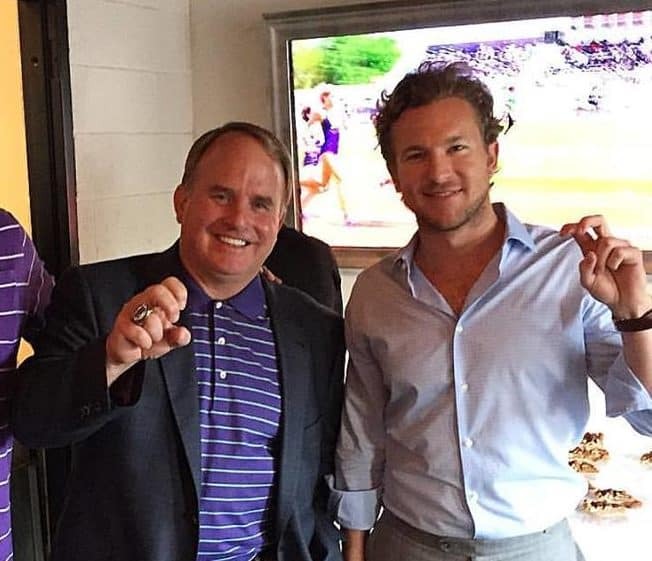 Though his roots are in Austin, Matt bleeds purple and is a proud TCU Horned Frog. I sat down for a Q&A with Matt to learn more about him. Read his answers below to get to know him a little better! A: Austin; I went to McCallum High School. 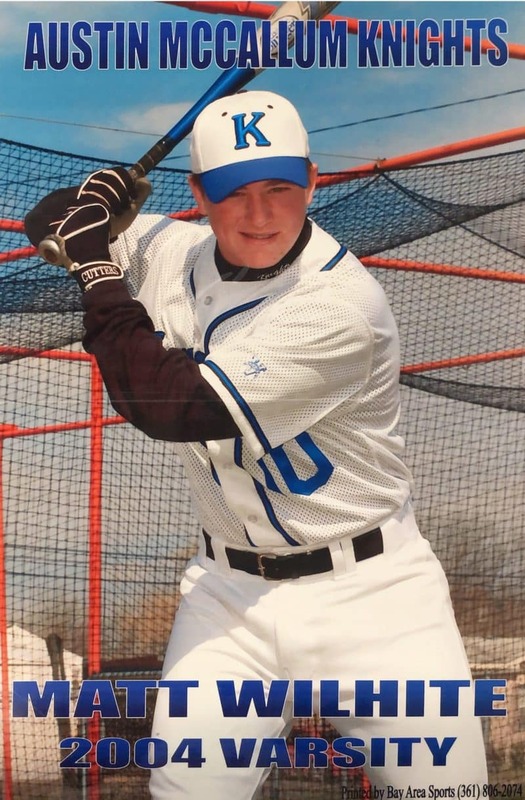 Matt played baseball at McCallum High School. Q: Where did you go to college? Matt with TCU Head Football Coach Gary Patterson. Q: How long have you been in Austin? A: I was born and raised in Austin then went to college at TCU. After graduation, I moved back to Austin for a few years, then moved to Australia for a year, then back to Austin in 2013. Q: What is it about Austin that has made you stay? A: The physical beauty of the city combined with the energy of the business and social scene. I love all the music, food and drink, as well as the trail and the lakes. Very few major metropolitan cities have as beautiful a body of water as the Colorado River flowing right through the middle of it. Additionally, Austin is incredibly dynamic and presents new opportunities and experiences regularly. 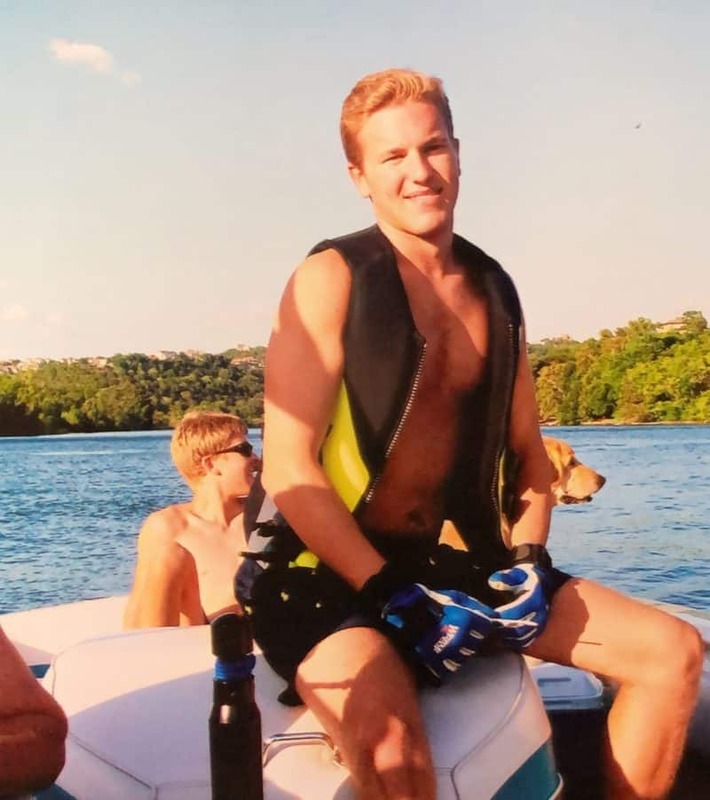 Matt grew up going out on Lake Austin and it’s one of the things he loves most about Austin. Q: What is your favorite part about working for AQUILA? A: The people and the culture; and just how well everyone gets along together. It seems like we are truly a big family. It’s a melting pot of a bunch of personalities contributing to the culture in their own way. Never a dull moment. Q: What makes AQUILA different? A: The absence of corporate constraint promotes creativity and freedom to think independently and challenge the status quo. Combine that with a diversity of thought leaders and different personalities and you have the recipe for a pretty special concoction. Q: What would you say is your key differentiator? Why would I want to work with you? A: I understand the city and how the end-user employee experiences where they live, work and play. It’s a mix of knowing the city’s past and physically watching it change. I live downtown and have my finger on the city’s pulse. It’s important to understand what different people are seeking from their employer with regards to employee experience, as well as the whole gamut of employees; where they live, what they do and what they look for with regards to their office space. I’d say I’m keyed in with people in general and have a pretty good understanding of what people like, what they don’t like, what’s important and what’s not (and how that relates to office space). 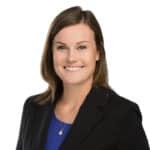 My experience with WeWork has taught me to look at commercial real estate through the lens of the millennial employee. Q: What is something on your bucket list? A: I want to go to both types of Olympics, Wimbledon, ski Chamonix (French Alps) and a Super Bowl. Q: What’s your go-to karaoke song? A: Pancho and Lefty by Willie Nelson and Merle Haggard or Sabotage by Beastie Boys. I like karaoke so I have a lot that I like. Q: If you won $50 million in the lottery, what would you do with it? A: Buy a house in Colorado and a plane to get back and forth on. Q: If you could live anywhere in the world and money didn’t matter, where would you live? A: I’d split time between Austin, Texas and Colorado. Q: What’s something most people may not know about you? A: I can sing – I was in the McCallum Show Choir in high school. Q: What is your favorite restaurant(s) in Austin? A: Matt’s El Rancho, Texas Chili Parlor, Ranch 616 and Justine’s. Q: What’s your favorite show to binge watch? 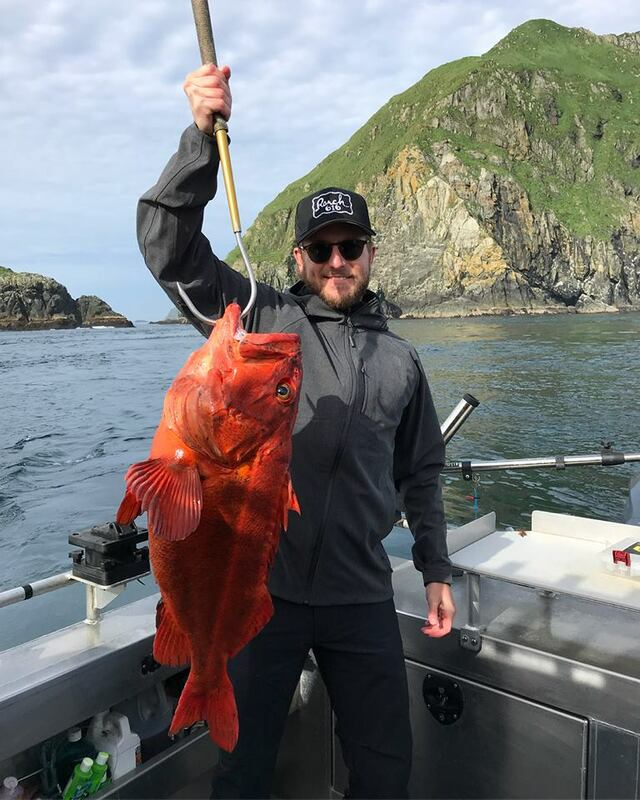 Matt holding a Rockfish he caught on a trip to Alaska. Matt with some friends up on the mountain. 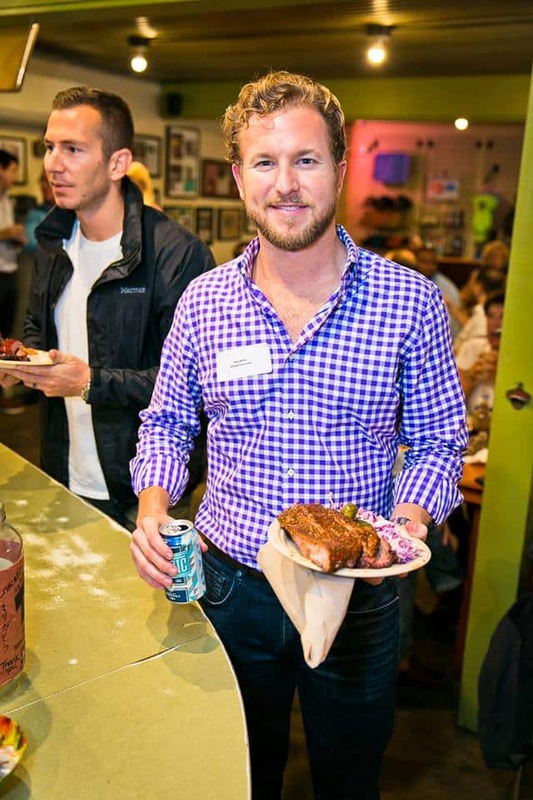 Matt at a client event at Franklin Barbecue. 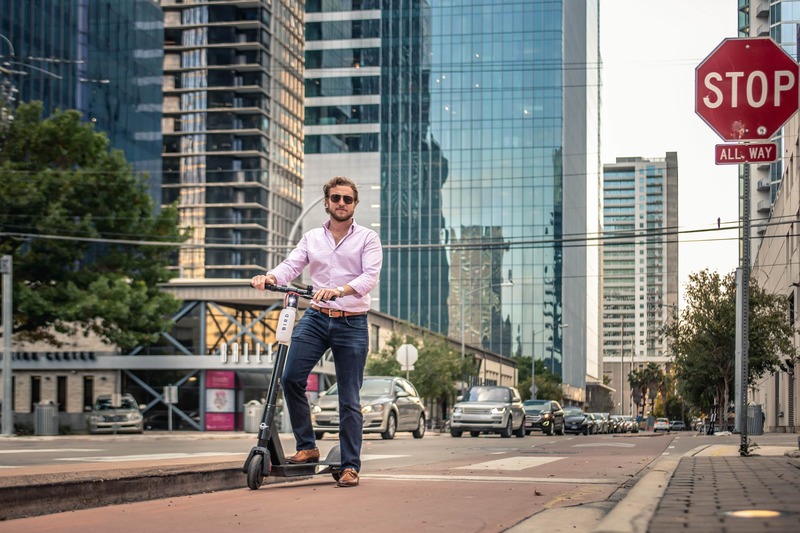 Matt on a scooter in downtown Austin. For more on Matt, check out his bio page on our website. Don’t forget to check back each month to see who we feature next! Kathleen is AQUILA’s resident creative. She has a keen eye for design and excels at keeping AQUILA looking professional and polished. Stay on top of what’s happening in the Austin real estate market. You can also manage your subscription preferences.